Martin Bamford, Managing Director at Informed Choice, talks to us about the reasons people contact financial advisers and how to make the most of your time with them. Read the second of his two-part article below. You might have heard of the Financial Services Compensation Scheme (FSCS) which has recently embarked on a big consumer awareness advertising campaign, highlighting how it protects your savings with banks and building societies. This important consumer protection scheme is funded by the financial services profession, covering investment and insurance advice in addition to cash deposits. When you receive advice from an independent financial adviser (IFA), that advice is covered by the FSCS. Should it turn out to be bad advice and the adviser is unable to pay you compensation the FSCS will step in to help. 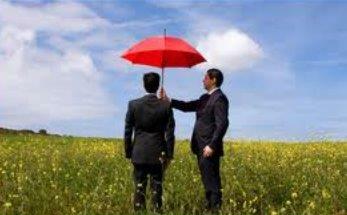 When you seek advice from an IFA they are obliged to hold a large amount of professional indemnity insurance. Finally, all independent financial advisers must keep a minimum level of capital adequacy within their businesses, so you can be confident they are solvent and able to meet any liabilities which arise. Put simply, you should have real peace of mind when seeking advice from an IFA due to the combined security of the FSCS, their professional indemnity insurance and capital adequacy. Few professions in the world are as well regulated as financial advice is in the UK. Since 31st December 2012, IFA’s can no longer receive commission on the sale of new retail investment products. Instead, they must agree with their customers an agreed level of remuneration, which has to be expressed as a monetary amount rather than a percentage and can be deducted from a product they recommend or paid directly on invoice. These commission bans mean charges for independent financial advice are now entirely clear and transparent, allowing consumers to see exactly what they are paying and what they are paying for. This new system of remuneration allows investors to directly compare the services and fees of different advisers before deciding which is best suited to help them meet their specific goals. Whether your chosen IFA works on an hourly fee or project fee basis, they likely to offer excellent value for money, particularly if you find an independent financial adviser who specialises in the area of advice you need. Let’s face it. You’ve probably got more important things to do than spend hours searching online for the information you need to make big financial decisions. Even if you can find the answer you are looking for, there is no guarantee that what the Money Advice Service or what other online information sources have to say will actually apply to your specific situation. That’s the big difference between information and advice. With information, the answers are factual but often out of context. You will have to apply your own skill and judgement to determine whether that information is right for you. Advice is different, it’s tailored to your personal circumstances and objectives. IFA’s bring years of experience and hundreds of hours of professional study to find the best solution for you. Even if you do have the spare time to devote each month to keeping your personal finances in order, employing a professional third-party to do this on your behalf gives valuable peace of mind and removes much of the stress associated with making big decisions. Regardless of the stage you have reached in life, there is an important role for an IFA to play. Most will offer a first meeting at their expense and without obligation, so you have the opportunity to find out where they can add value in your life and how they deliver their particular service. Whether you are getting married, starting a family, buying your first home, approaching retirement or helping elderly relatives plan their finances, speak to an IFA to find out how advice can make a lasting difference in your life. To read the first part of Martin’s article, click here.